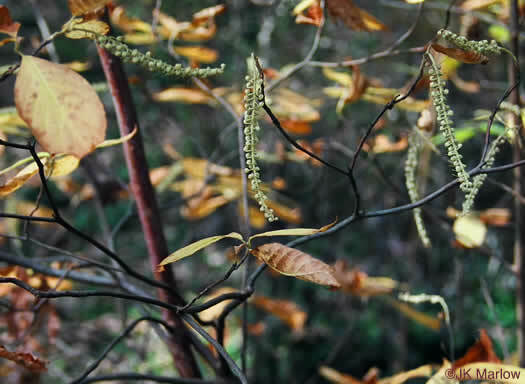 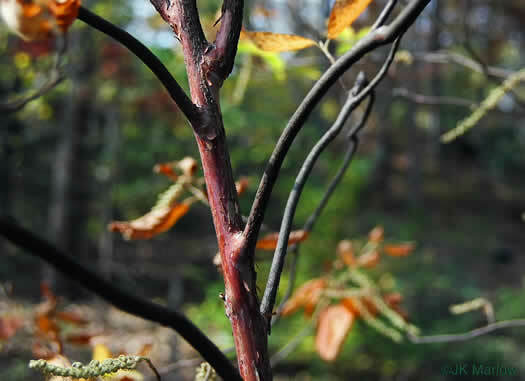 Its shreddy reddish (cinnamon-like) bark is distinctive, per Guide to the Wildflowers of SC. 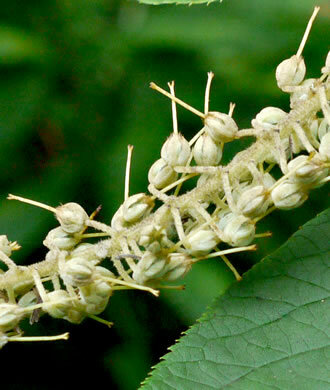 Pedicels 2-6(-11)mm, stellate-hairy; bract longer than flower, per Flora of North America. 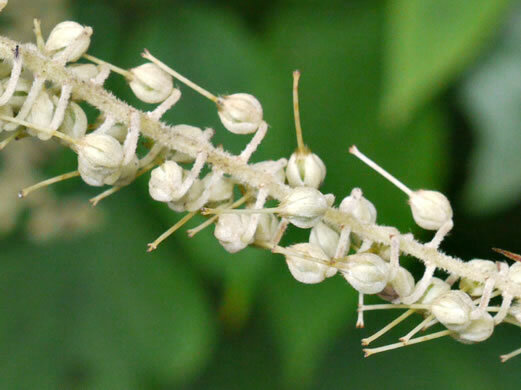 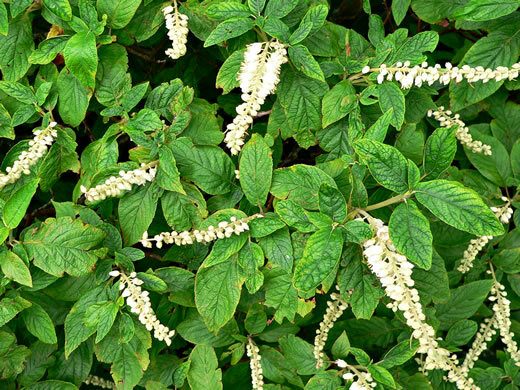 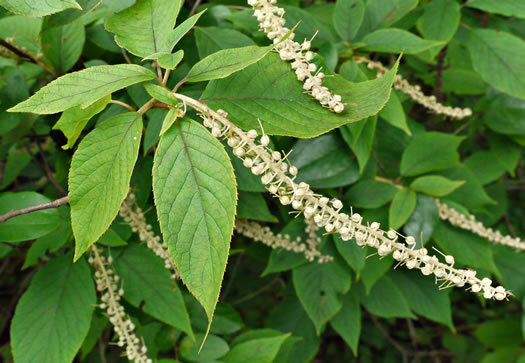 Flowers in terminal racemes or narrow panicles, per Guide to the Wildflowers of SC. 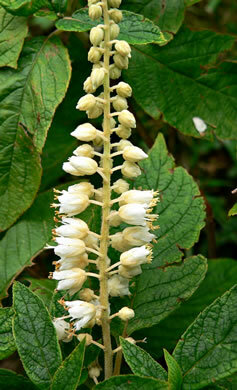 Sepals and rachis woolly, white, per Native Trees of the Southeast, An Identification Guide. 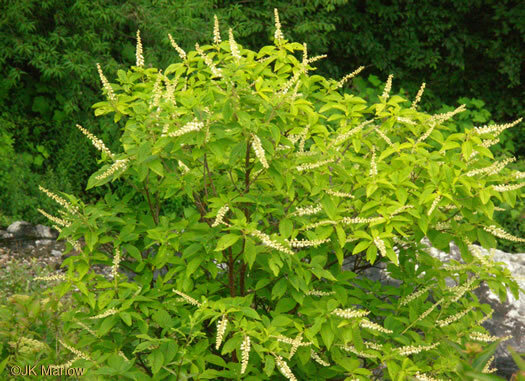 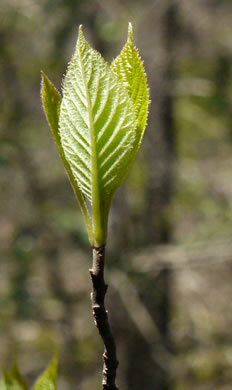 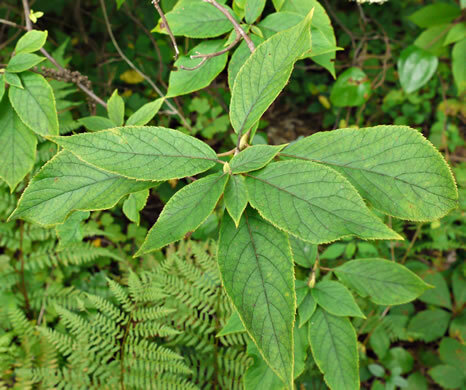 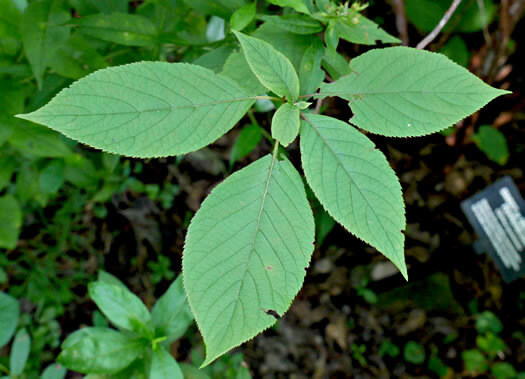 Leaves oblong or elliptic, 8-20 cm long, acuminate, per Weakley's Flora. 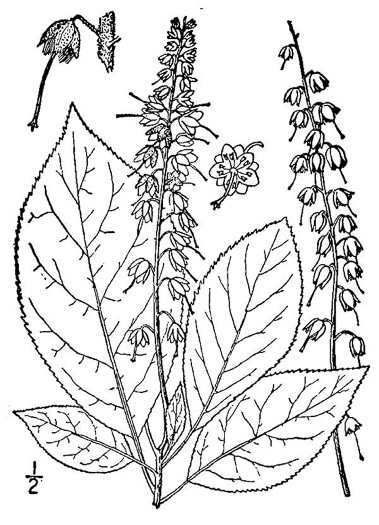 Capsules subglobose, dehiscence loculicidal, enclosed by persistent calyx, per Flora of North America. 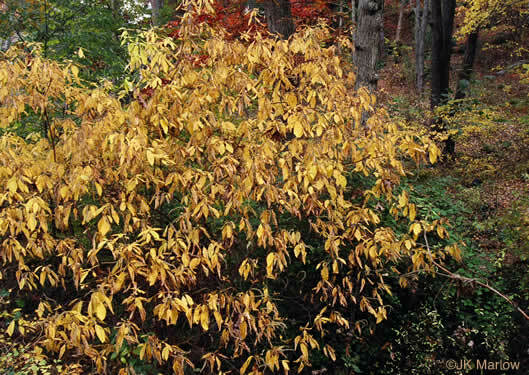 Fruit matures in autumn and persists through winter, per Native Trees of the Southeast, An Identification Guide. 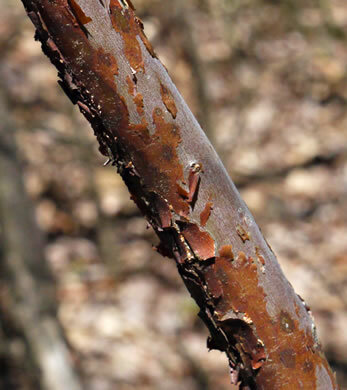 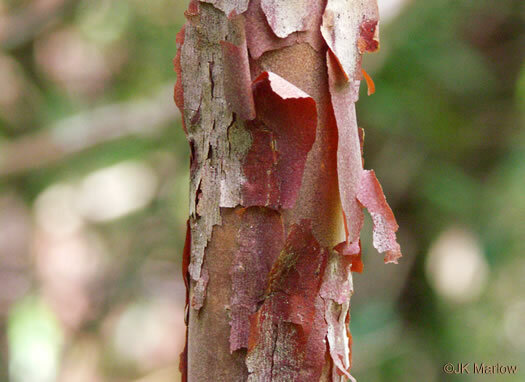 The bark is reddish-brown and thin, per Trees of the Southeastern United States.